A true innovation changes the way we see and do things. It can be a minor ergonomic improvement, a new way to trace your project, or an alternative approach to your existing production process. In all cases, innovation makes your life somehow easier and brings new value to it. This is also the perfect definition for the Kemppi experience. 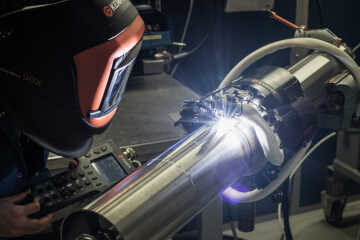 Challenging the welding industry is unconditional for Kemppi. And to challenge the welding industry, you need to know the user of your product. That is why we put user experience at the center of all product development. We bring together experts of electronics, mechanics, welding, industrial and service design, and commercialization to introduce relevant value for different industries. We use local expertise from Russia, India, China, and Europe to turn local demand into more profitable welding solutions. We co-create with our customers and in international research projects to find things that truly matter in global welding related business. And we don't compromise at any stage of the Kemppi Experience. You need to get individual value from the very first contact with us to the end of the life cycle of your Kemppi product.